The Perkasie Borough Electric Department evolved from a desire to improve street lighting. It began with the installation of a generator, which supplied electricity for the street lights. The first electric power plant was constructed in 1900 at a cost of $11,500. The demand for power grew rapidly, and the decision was made in 1947 to retain a distribution system. It was at this time that the first agreement was made with PP&L to supply wholesale power to Perkasie Borough. A modern substation was built in 1995 and is being used today to distribute electricity to the Borough. 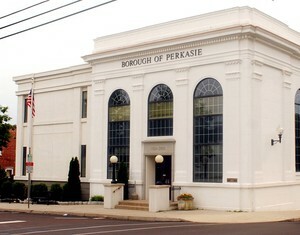 Perkasie is unique among Pennsylvania municipalities. We are one of only 35 communities to own and operate our own electric utility for the benefit of the community. The Perkasie Electric Department consists of four skilled linemen, a foreman, and a Superintendent, Harold Stone. In the Commonwealth, there are 35 municipalities that provide facilities for the transmission and distribution of electricity to their residents. Municipal utilities, owned and operated by boroughs, are not regulated by the Public Utility Commission (PUC). The PUC has no jurisdiction over these electric utilities, the prices they charge, or the services they provide. This is typical for most states. The PUC’s mission is to protect the consumer, who is the user of the electricity, to make sure that there is a balance between stockholder corporate owners and consumers. For instance, if a charge goes up for the utility, the PUC determines whether the utility has the right to pass the charge along to customers or if the stockholders should absorb the charge. In municipal-owned utilities, the “stockholder” (in the town) and the customer are one and the same. Because the customer is the stockholder, there is no need for a regulatory body. Municipal not-for-profit utilities are effectively regulated by other non-PUC entities. Municipal utilities are regulated through oversight by the municipal Borough government. This government is made up of citizens of each Borough. These utilities are directly accountable to the people they serve through local elected officials. Municipal electric utilities serve the public interest by protecting consumers and ensuring the provision of safe, reliable utility service and infrastructure at reasonable rates. For these reasons, municipal electric utility services do not fall under the jurisdiction of the PUC. distribution, or the delivery of electricity to your home or business. In Pennsylvania communities that are serviced by public power companies regulated by the PUC, customers can choose the company that generates their electricity – also known as the electric supplier. This means that the customer has the power to switch to a competing supplier who can offer the lowest price, or provide a specific service such as green/renewable energy. Deregulation law in Pennsylvania allows only the generation portion of the customer bill to be open for competitive supply. This is just one part of the three parts of the customer’s electric service. Generation supply costs make up most of an average electric bill. The electric utility that distributes the electricity to that household, and their remaining charges, will be the same. With that being said, Perkasie Borough’s revenue structure has depended on a markup of electric for government services in lieu of higher property taxes. With a real estate tax millage rate of only 5.75 (4.75 for the Borough, 1.0 for the Fire Company), the local tax rate is in the bottom third of all municipalities in Bucks County. The Borough relies on its electric fund to supplement its general operating fund and its capital reserve fund, which helps pay for projects like road improvements, public works and police vehicles, infrastructure improvements, and debt service. Typically around 20% of our operating budget (general fund) and our entire capital fund are funded by electric sales. Thus some of the electric customer’s charge goes toward these expenses. If Borough electric users were able to unilaterally switch electric suppliers, another source of revenue would be needed to supplement the revenue loss. 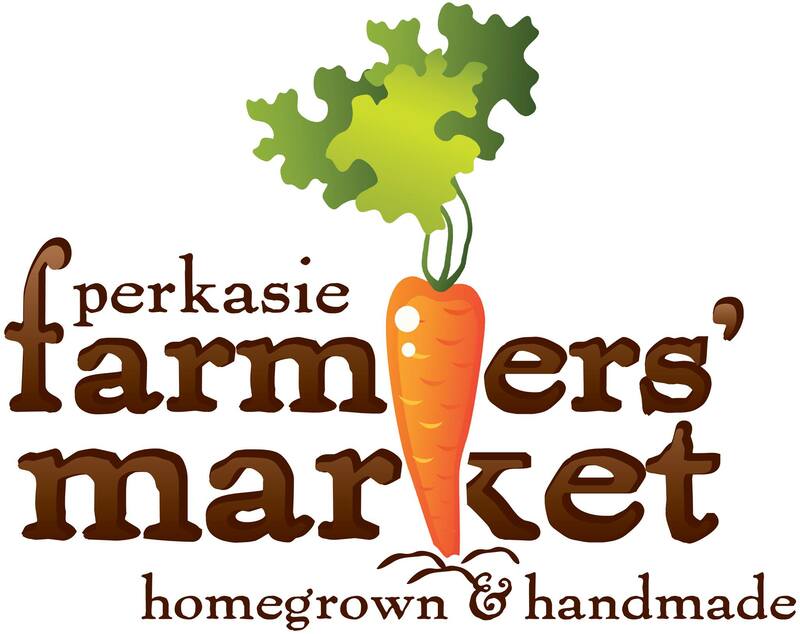 So while electric customers in other areas have the ability to switch their suppliers, Perkasie Borough uses its Borough-wide buying power to try to obtain the best price from a number of suppliers. Simply said, the Borough does the aggregate buying, in wholesale bulk markets, on behalf of its residents and businesses. The Borough relies on its Electric Fund to supplement our General Operating Fund and our Capital Reserve Fund, which helps pay for projects such as road improvements, public works and police vehicles, infrastructure improvements, and debt service. Typically, around 20 percent of our operating budget (General Fund) and our entire Capital Fund are funded by electricity sales. Thus, some of the electricity customer’s charge goes toward these expenses. If Borough electricity users were able to unilaterally switch electric suppliers, another source of revenue would be needed to supplement the revenue loss. So while electric customers in other areas have the ability to switch their suppliers, Perkasie Borough uses its Borough-wide buying power to obtain the best price from a number of suppliers. Simply said, the Borough does the aggregate buying, in wholesale bulk markets, on behalf of its residents and businesses. As we move forward, the Borough is exploring new options, trends, and ideas to lower the cost of electricity for all. We are looking at renewable energy supplies, including solar power and multiple energy suppliers. Multiple energy supplies reduce Borough risk and market exposure through diversification of energy supply. Renewable energy supply options include innovative ideas such as purchasing electricity from plants that utilize methane gas from landfills. Our goal is to provide economical and superior electricity services at competitive rates that are lower than the local investor-owned utilities such as PPL and PECO Energy. As a customer-owned and customer-controlled business, municipal electric utilities play a vital role in maintaining the economic health of their communities, providing local jobs, and contributing to the overall community quality of life. Because residents of a municipal electric utility are also the owners, they have a vested interest in their utility.